The Sembler Company and Forge Capital Partners, in their Forge Real Estate Partners III (FREP) investment fund, recently purchased the Humblewood Center near Houston, TX. The 172,897-square-foot Humblewood Center is anchored by Petco, Skechers and a newly expanded, high-performing Conn’s Home Plus. Strategically located at the dominant retail intersection of Houston’s far northeast submarket, the center is situated near the regional Deerbrook Mall and the Deerbrook Marketplace power center. 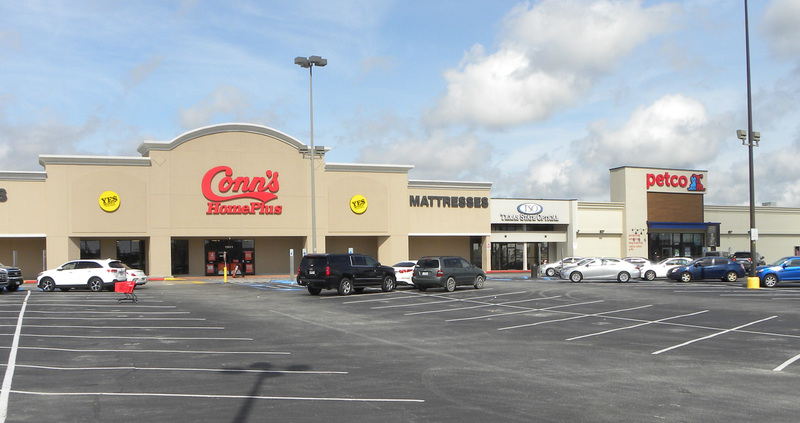 FREP now owns eight shopping centers in Florida, North Carolina and Texas – and the joint venture is actively seeking additional investments in shopping centers throughout the Southeast. FREP is focused on the acquisition, development and redevelopment of retail real estate projects in the southeastern United States and Puerto Rico. FREP is a community development entity whose intent is to provide returns to investors seeking socially responsible investment opportunities while promoting economic revitalization, business development, and job creation in or near low and/or moderate-income communities. Investors include public financial institutions that will receive credit under the Community Reinvestment Act for such investments.